The connections made between people and the information they share, take an utmost importance. The internet makes these interactions easier and faster, thus allowing to share a lot more between us. In today’s world, it is made evident that not only the connection between people is important, but also the connection of devices. A strong connection between devices, exchanging useful data can ultimately make people’s lives easier. This connectivity has been referred to as the “Internet of Things”, or “IoT” for short. IoT technology, which relies on devices embedded with electronics, software, sensors and/or actuators, has evolved over the years and penetrated more and more industries and uses. It possesses better real-time data capabilities for agriculture, industrial, fleet management, supply chain and more, as well as holds the answer to the lack of real-time information, which could lead to malfunctions and losses. The use of sensors allows the improvement of productivity, the reduction of machinery downtime and costs and the enhancement of safety and efficiency. Starcom Systems has upgraded its technological skills to enter the vast world of IoT. On August 2017, we’ve struck an agreement with CropX, a developer of devices, which allow farmers to accurately measure the irrigation needs of the field in real-time. As part of the agreement, we upgraded our existing Kylos Air technology to develop a new IoT platform, which combines multiple communication interfaces, and supplied it to be used in CropX’s devices. This allowed CropX to create a smarter soil intelligence platform, using special sensors, which measure temperature, humidity and conductivity. Since then, our cooperation with CropX has grown as they’ve integrated Starcom’s satellite-based modules, allowing them to expand to new markets. CropX has constantly been increasing the amount of orders, and we see a bright future in this cooperation and in future IoT implementations, that will illustrate the high adaptability of Starcom Systems’ technology. 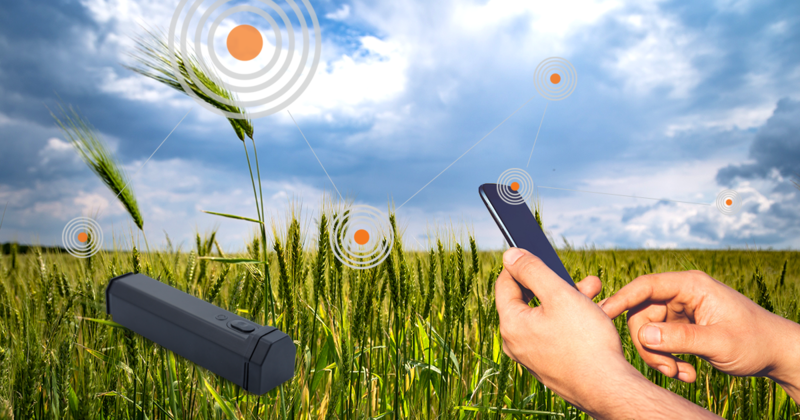 In the same way, IoT technology allows us to study the status of the farmer’s field, we have already started to do the same with machinery, vehicles and even cattle. All these can be studied using real-time data, which can be analyzed to provide an accurate prediction for the future. We intend to lead the connected future of our products, bringing forth IoT implementations of security, fleet management, connected supply chain and more! Starcom Systems’ IoT solutions are bridging the technological gap for industries, which weren’t previously able to take advantage of such technologies. Contact us today at [email protected] to learn more about this bright future!